The most flexible Trade Copier on the market! Our internal latency is usually below 1 millisecond. Our servers are based in London Equinix to be as close as possible from your broker. 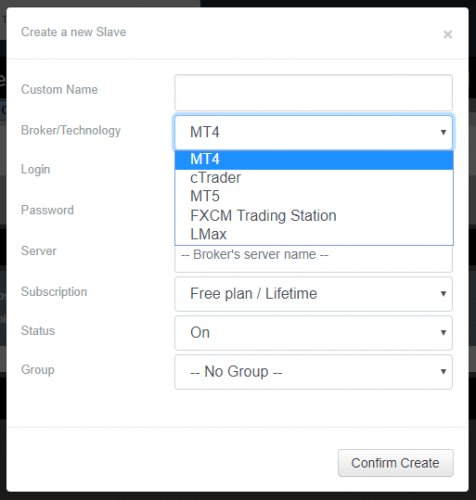 MT4, MT5, cTrader, FXCM Trade Station, LMax or various FIX APIs, whatever is the technology we can copy trades from/to these platforms. 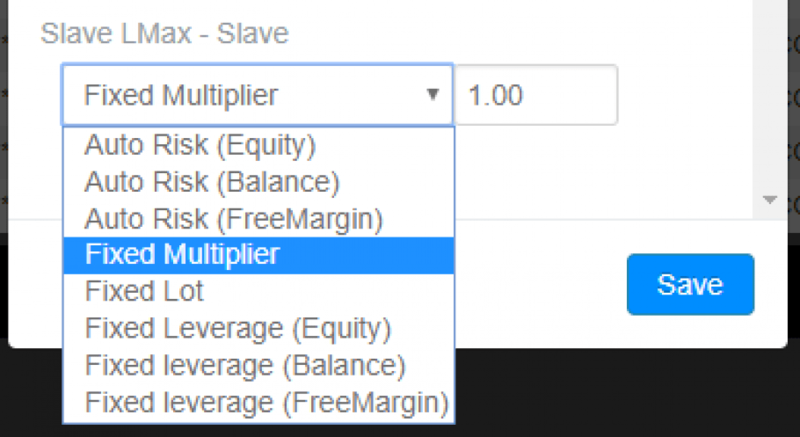 You can trade manually from your mobile phone or you can attach your trading robots (EA) to your master account(s) and the trades will be copied to all your slave account(s). Our trade copier is self-hosted, it means that you do not need to keep your computed or VPS running, everything is managed by us on our own servers. 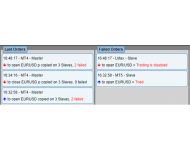 MT4 Trade Copier. For cTrader, MT5, FXCM, LMax and FIX API, too. Duplikium's Trade Copier is flexible as none other. All the main trading technologies are supported. 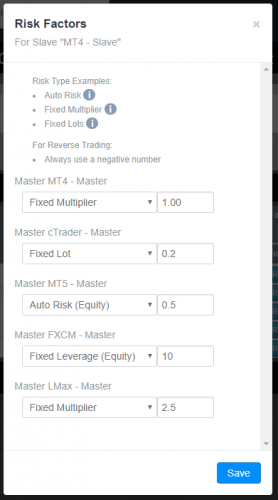 You can use the Trade Copier with an account based on Metatrader 4 and 5 (Metaquotes), cTrader (Spotware), FXCM Trading Station, LMax and even FIX API (the most advanced professional financial communication protocol). 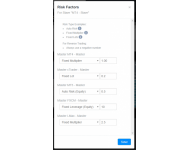 Off course, you can mix the offered technologies to copy your trades: for instance, you can copy trades from MT4 to cTrader, from cTrader to FXCM and so on. 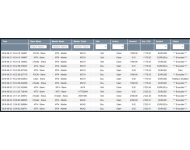 All the main orders' types are supported. Duplikium's Trade Copier can copy Market, Instant and Pending orders like Limit and Stop. The Trade Copier copies protection like StopLoss and TakeProfit orders, too. 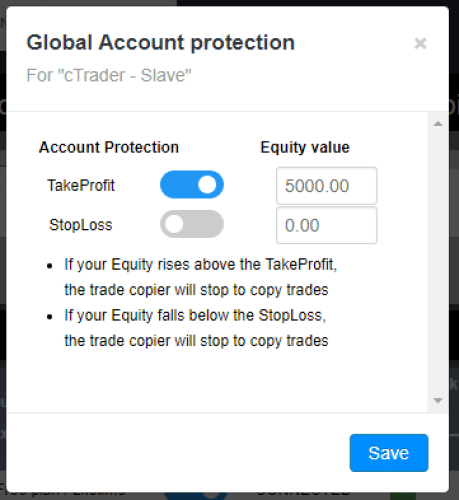 Obviously, orders updates like Stop, Limit, StopLoss and TakeProfit price are also updated on the Slave (Follower) account. 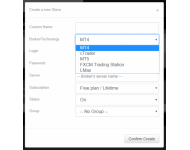 You can drag and drop your order on Metatrader or cTrader chart and it will be updated on the Follower account. Duplikium is a service provider for Asset Managers, Signal Providers or Private Traders. 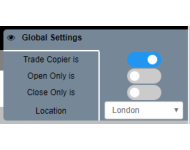 We offer a Trade Copier (a.k.a PAMM) to replicate, duplicate or copy Forex and CFD transactions between accounts. No more account hosting is required on your PC/server. Everything is embedded in our cloud. 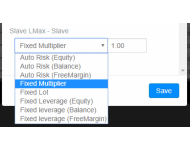 Our technology is useful especially if you need to replicate, duplicate or copy strategies (EA) that run in a main account (called Master) to several other accounts (called Slaves). With our solution, you are totally free to use your existing accounts whatever your broker is. We do not ask you to open new accounts with brokers of our choice. 1 Master and 1 Slave accounts. 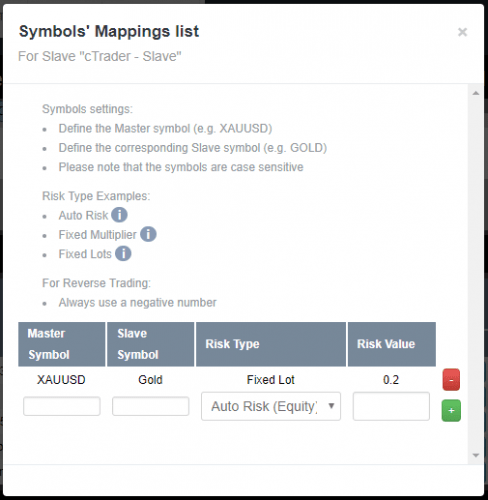 Can be used with MT4, MT5, cTrader, FXCM, LMax and FIX API. 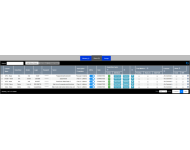 In addition, benefit from an ultra-low latency solution to manage your clients' accounts or to send signals to your clients. High-frequency trading strategies are welcome. Our innovative solution is working in the cloud. It is very easy to setup! Our goal is to supply you THE solution that you need for your trading activity. Do not waste your time anymore by executing the trades on your clients' accounts, but let's save time for your core activity to generate powerful trades or signals. 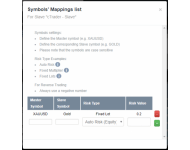 Can be used with cTrader, MT5, FXCM, LMax and FIX API. 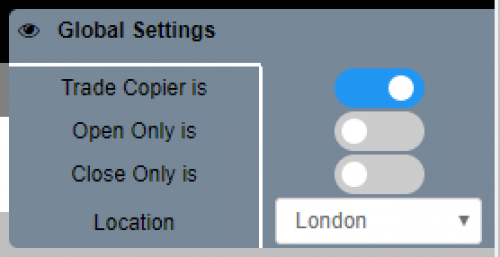 The use of this Trade Copier is undertaken entirely at the clients' own risks. We cannot be held responsible for the software, broker or other issues that result in the failure to execute a trade command. It is inherent upon you, the client, to make sure you are aware of when trades have been taken, adjusted or closed.